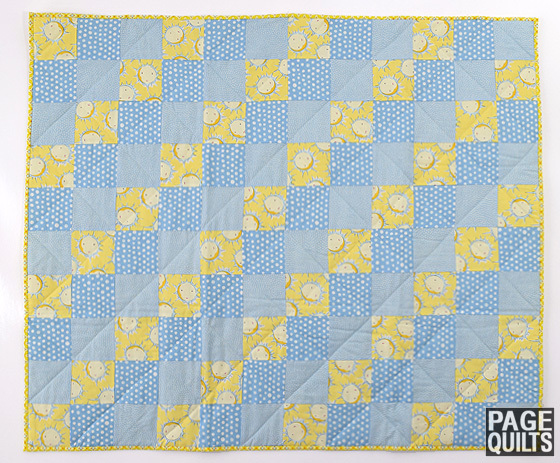 Tucked into strollers and car seats to keep baby warm, or used in babies crib, these cotton quilts are not too bulky and are machine washable. 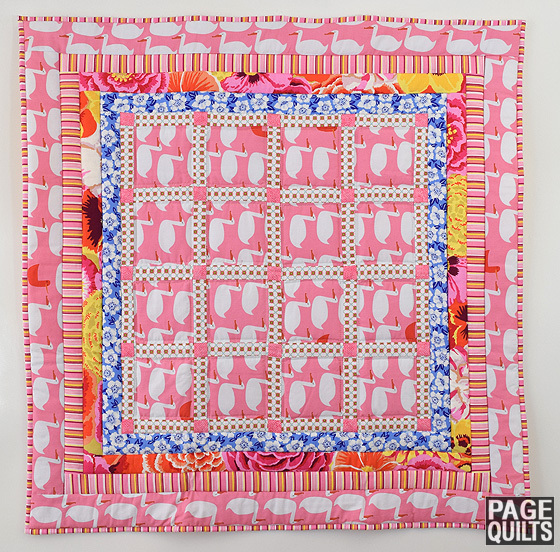 Baby quilts measure 41" or 36" square and are made by Valerie herself, with a signature blend of soft 100% cotton fabrics in a delicate palette of colours that look wonderful in any setting. 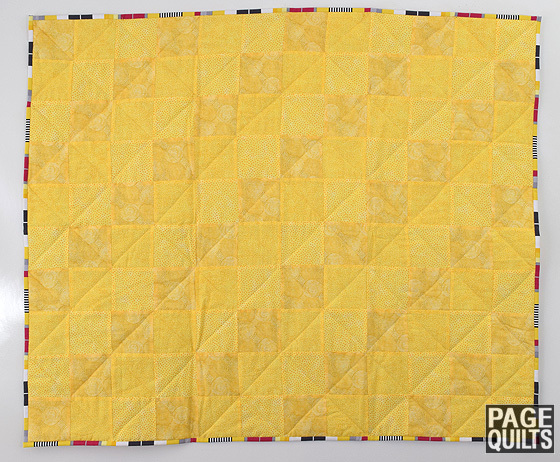 To order any of these quilts, please contact Valerie. 100% Made by Valerie, in Toronto. 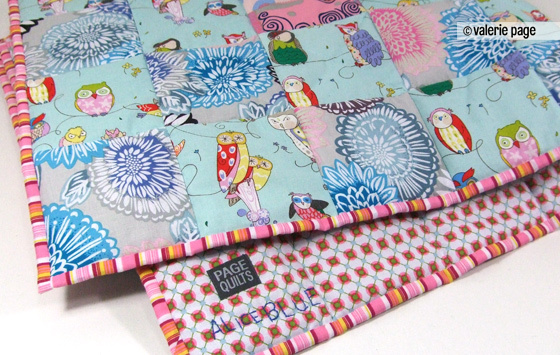 Perfect little baby quilts for that special bundle of joy and giggles. Details: Measures 36" x 36" / Toronto 2015 / Cotton. 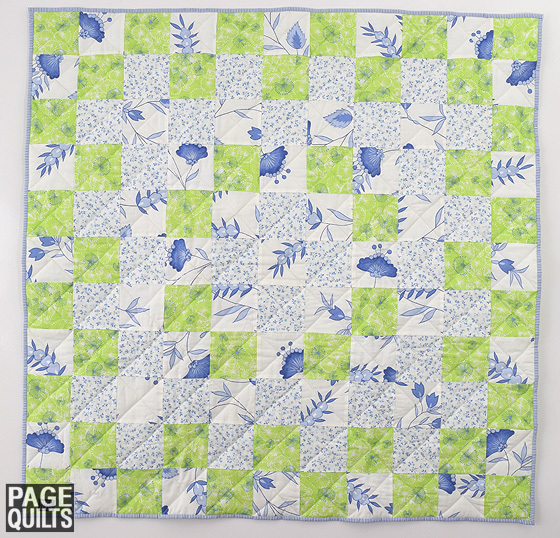 Colour combination - pale green, white with blue lotus blossom print. Details: Details: Measures 34" x 38" / Toronto 2015 / Cotton. Colour combination - soft blues and a yellow sunshine print. Details: Measures 32" x 42" / Toronto 2015 / Cotton. Colour combination of three different yellow prints, bordered in a contrasting binding. Details: Measures 41" x 41" / Toronto 2012 / Cotton. 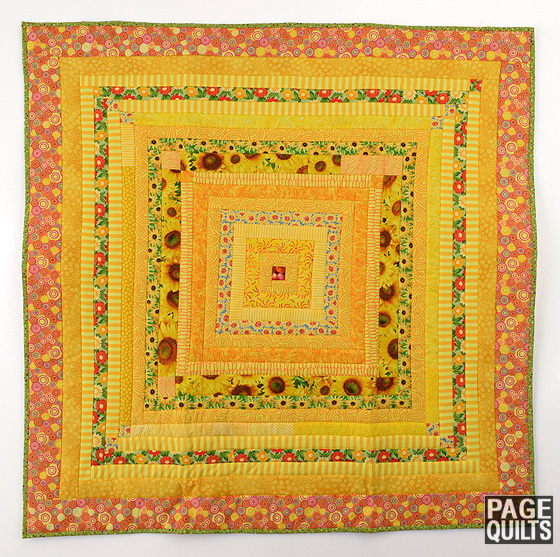 Colour combination - vibrant yellow and salmon fabrics from Paris, plaid and floral prints. Details: Measures 34" x 48" / Toronto 2015 / Cotton. 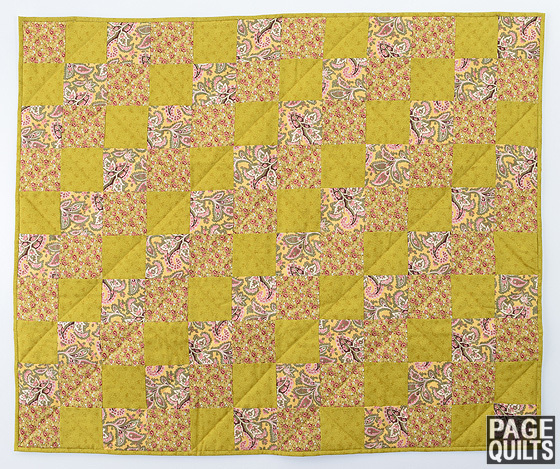 Colour combination - soft pinks, yellow paisley's and art deco green prints. Details: Measures 34" x 40" / Toronto 2015 / Cotton. Colour combination - pale mustard yellow with dashes of pink and purple abstract floral prints. Details: Measures 36" x 36" / Toronto 2015 / Cotton. 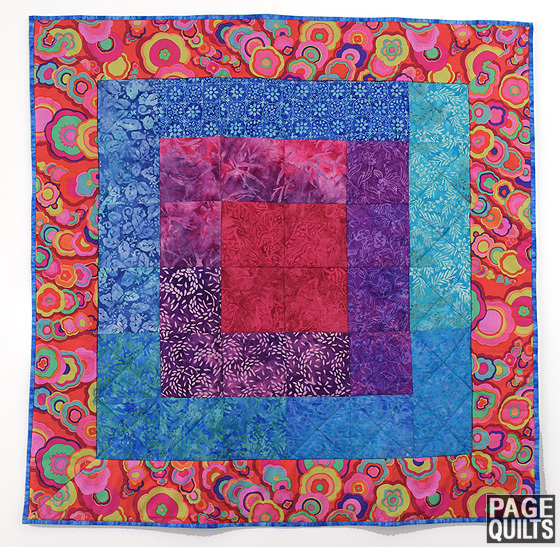 Colour combination - a balance of pinks, reds, purple and blue fabric in a nested square pattern. Details: Measures 38" x 44" / Toronto 2015 / Cotton. 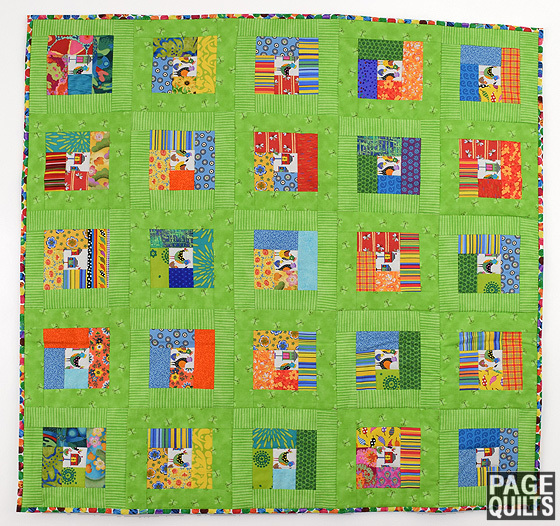 Colour combination - soft springy green fern print, surrounding a transitional field of light orange to emerald green squares. Details: Measures 34" x 37" / Toronto 2015 / Cotton. 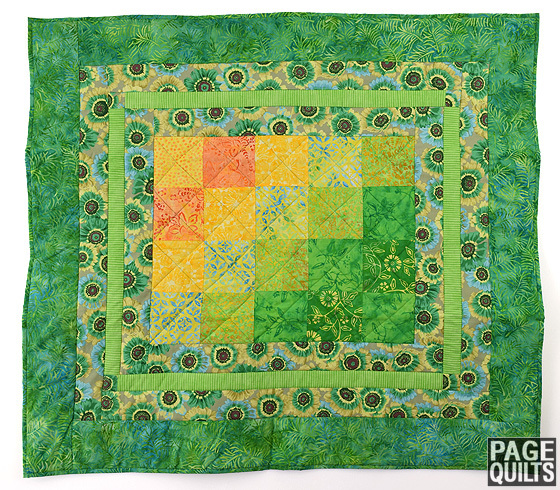 Colour combination - minty green and colourful patch work squares. Details: Measures 34" x 34" / Toronto 2015 / Cotton. Colour combination - pink fields dotted with little white geese, blue and white flower prints and a touch of yellow. Details: Measures 37" x 37" / Toronto 2015 / Cotton. Colour combination - Kokeshi dolls are originally from the northern part of Japan. During Japan's Edo period they were considered guardians of their child owners and thought to keep watch over them, protecting them from harm as they grew up. Surrounding the pale blue Kokeshi doll print is a carefully chosen balance of colourful floral, pink dragonflies and multi-coloured chrysanthemum prints. Q. 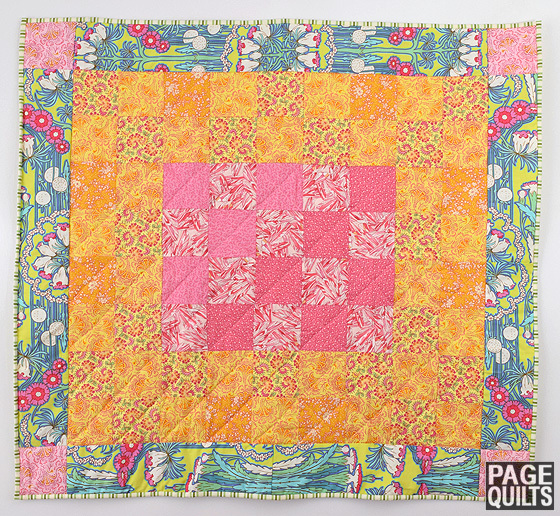 Can you embroider the childs name on a Baby Quilt? - Yes, we offer this service! 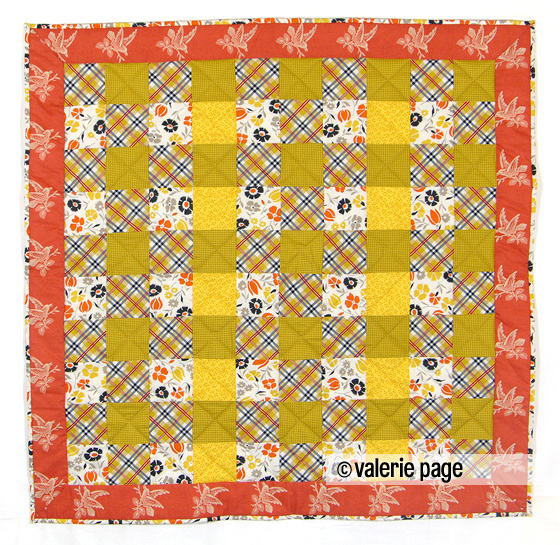 Each baby quilt created by Valerie is a one of a kind, due to the originality of many of the fabrics she selects individual quilts in the series may vary slightly. All are hand made right here in Canada. Custom colours are available, please speak with Valerie if you can't find exactly what you want. 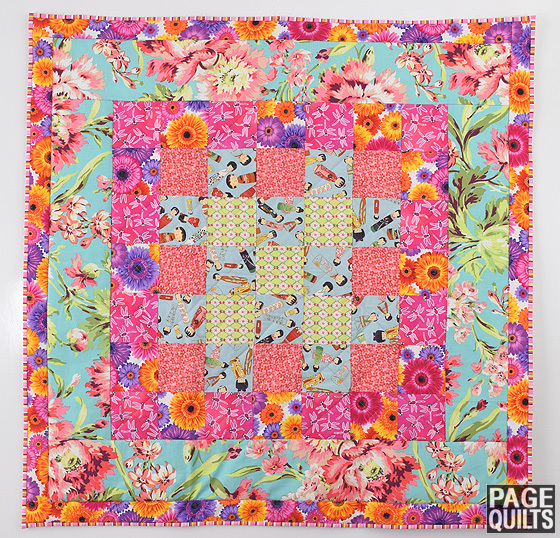 Once you place your order, Valerie can make your custom quilt in about a week.